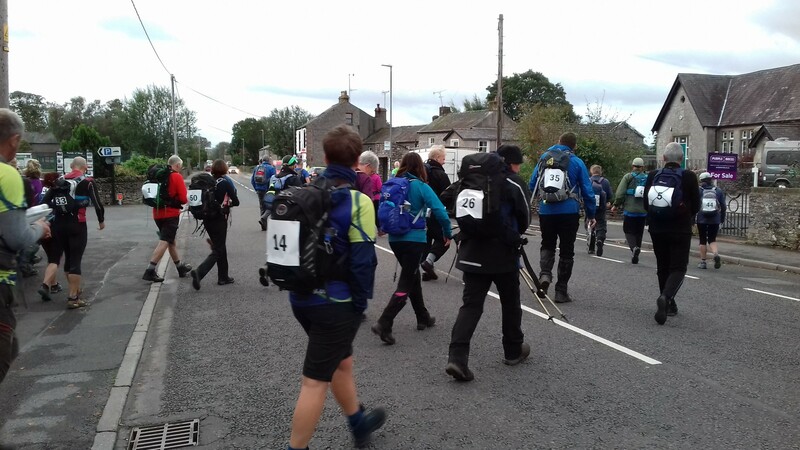 The second staging of Cumbria LDWA’s challenge event ‘Mardale Magic’ was held on Saturday 22 September 2018. 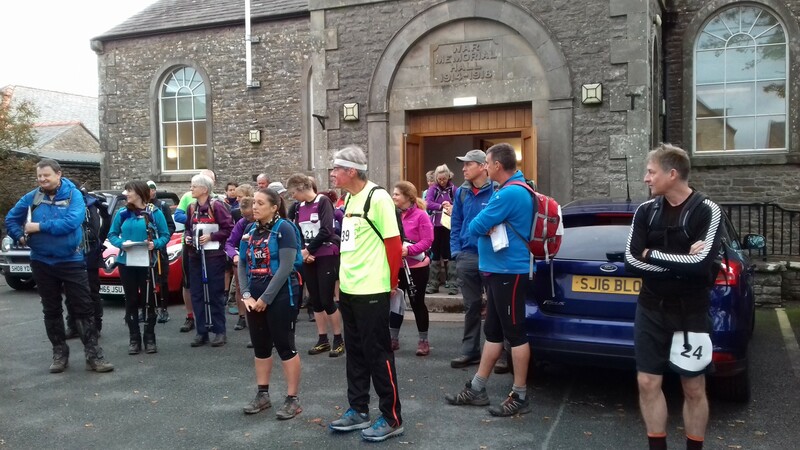 It started and finished at Shap Memorial Hall and involved 34.5 km (21.4 miles) and 1,064 metres (3,490 feet) of ascent. From Shap the route was Wet Sleddale Reservoir, Mosedale Beck, Swindale Head, Old Corpse Road, Mardale Head, western shore of Haweswater Reservoir joining Wainwright’s Coast to Coast to return to Shap. 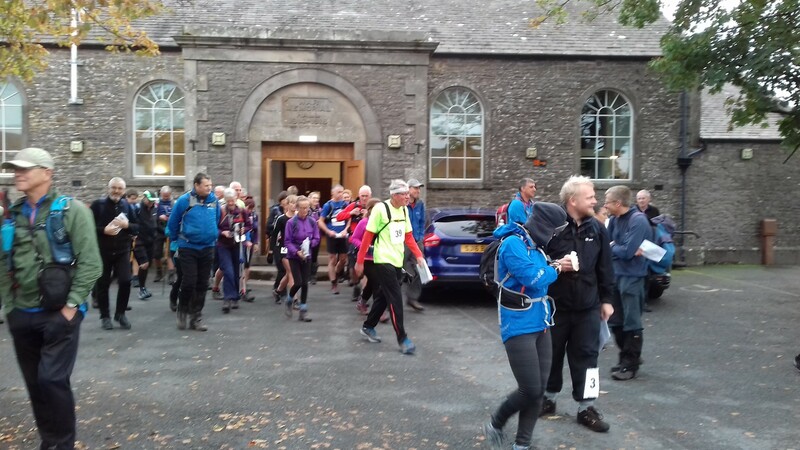 There were two checkpoints (Wet Sleddale Reservoir Car Park and Mardale Head) where participants were monitored and timed and offered refreshments. Refreshments were also available at Burnbanks. 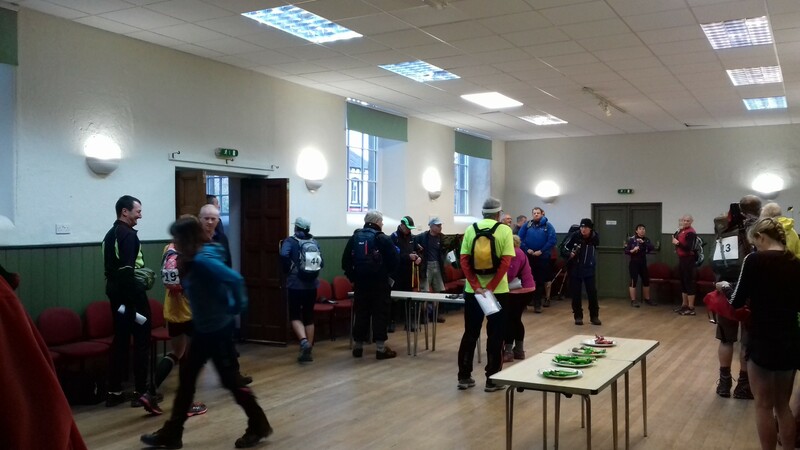 A hot meal was provided at the finish back at the hall. The weather was pleasant and dry. 50 entrants had signed up for the event; 43 of whom were present at the mass start at 8:00 a.m. It is a pleasure to report that the event ran smoothly and safely. All 43 successfully completed the route. Feedback from those taking part in the event was very positive. This is reproduced below. Thank you for an excellent event and a word with the weather gods this year. Thank you and all your helpers for a great event yesterday and for the friendly, helpful way you organised it all. Having come all the way from (slightly flatter) Suffolk, it was very nice to be made to feel so welcome. The food and drink, not just at the finish, but also at the checkpoints was much appreciated. I felt suitably well exercised and no aches or pains from my nearly 17 year old artificial hip joint! Thanks, I had a great walk yesterday. I'm happy to be called Genghis Khan and have his time as well! (blank Mardale Magic certificates were sent out inviting participants to replace ‘Genghis Khan’ with their name and replace his time with their time). Just to say thank you as event organiser for a very good day out, and a big thank you to all the marshals and helpers. All very much appreciated. Just wanted to say thank you again to you and all your team for a really good event on Saturday. Even the weather behaved! The meat pie and stewed apple at the end finished it off perfectly!! Great day out in lovely countryside, despite the boggy ground. Thanks to you and the team for all your support - and food! Just a note to say thanks to you and your team for making the Mardale Magic happen on Saturday. We thoroughly enjoyed the event and hopefully will be back next year. Thanks for an excellent event in good conditions. Thanks too to all the helpers for a memorable day in the hills. There was a magnificent response and performance by all the volunteers from Cumbria LDWA. The results for the event are given below.